سواءً كنت مسافراً بغرض السياحة أو العمل, The Landmark Nelson Bay هو خيار عظيم للإقامة خلال زيارتك بورت ستيفنس. يسهل الوصول إلى هذا الفندق ذو 4 نجوم من المطار، فهو يبعد عنه مسافة فقط. يوفر الفندق بفضل موقعة الجيد وصولاً سهلاً إلى أهم معالم المدينة.
. إن الخدمات التي يقدمها The Landmark Nelson Bay تضمن للنزلاء إقامة مريحة. يمكن لضيوف الفندق الاستمتاع بالميزات التالية على أرض الفندق: مرافق مخصصة لذوي الاحتياجات الخاصة, تخزين الأمتعة, صف السيارات, غرفة عائلية, جولات . يمكن للنزلاء الاختيار من ضمن مجموعة من الغرف المصممة بعناية لتعكس جواً من الراحة، والتي يتجاوز عددها . يقدم الفندق العديد من الفرص للاستجمام كمثل مسار جولف - ضمن 3 كم, حمام سباحة خارجي, سبا, ملعب تنس, بلياردو. إن The Landmark Nelson Bay هو مكان مثالي للمسافرين الذين يتطلعون إلى الراحة والاستجمام في بورت ستيفنس. 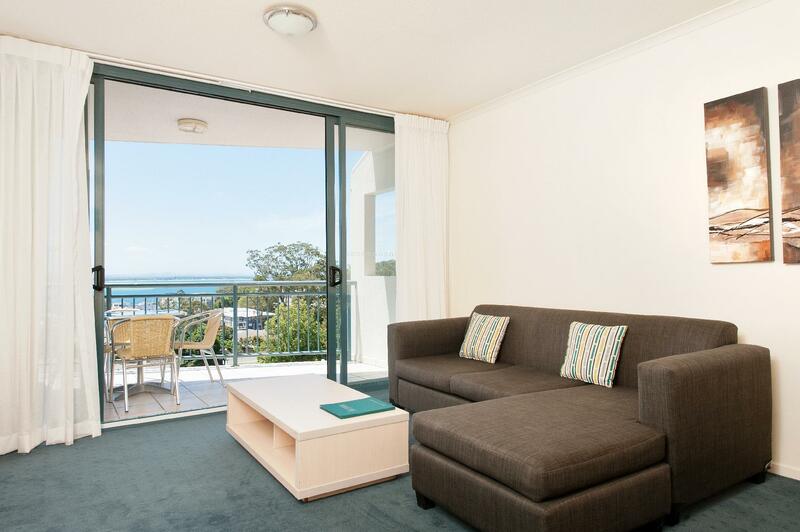 Perfect holiday location, easy walking distance to the hub of Nelson Bay. Apartments are spacious and well appointed. The pool was a standout for us, as we have small children and it was a walk-in style pool. Excellent 1 BR unit with full cooking, microwave, fridge, balcony, aircon ,fan,spa bath/shower,tv,lounge and dining chair and tables. Also excellent heated pool, tennis court, next to golf course and bowls club. Short walk to shops. Cleanliness Ok and Reception staff very friendly. Really nice place to stay and I would recommend. Stayed for my Husbands Birthday. Great location and easy walk to main streets for Restaurants and shopping. Didn't use the restaurant or club at all so no idea what they were like. Pool was being refurbished which didn't worry us as it was a cool autumn weekend. Plenty of parking. Nice balcony with water views. Clean and comfortable. Kitchenette well set up. Laundry on level 1 only uses $2 coins, $4 each load washer and dryer. Walking distance to bowling club which has good value specials. Short walk to town. Was disappointed with the quality of bedding. Sheets were marred with ink by the looks of things. The two grey blankets had marks on them don't now whether they were soiled or lost their colour from washing. 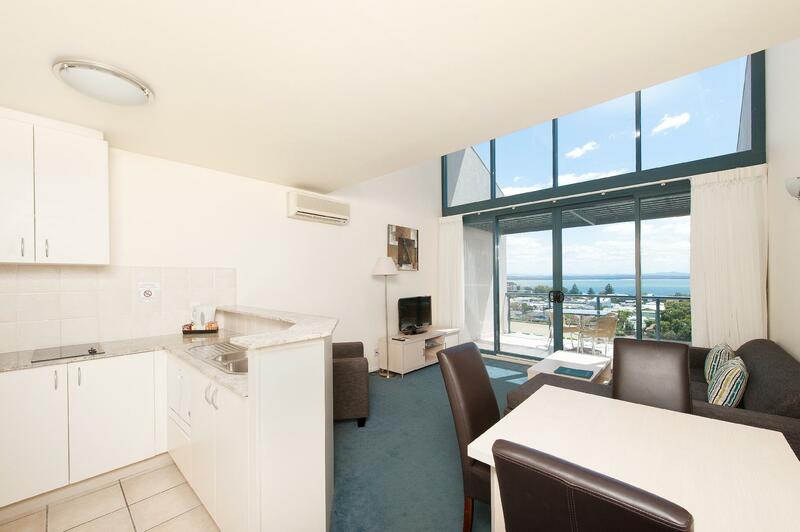 A lovely comfortable unit to stay in with a family; close to the bay & great facilities. Lovely view from rooms. Thia was our 4th stay at Landmark over 10 years and it was a great a first-time we stay. The rooms have been kept up to date and are well maintained. Conveniently located 10mins walk from the marina and local restaurants and cafes. Nice place for family trip with kids. Love V-buffet (restaurant located downstairs hotel). GREAT FOODS / GREAT PRICE (15% discount for hotel guest and FREE for kid under 3). Quite hotel and nice swimming pool. Short walk to beach. Must Recommended. Loved everything about this place. I was on holiday with a friend and we enjoyed the one bedroom spa with twin beds. View is great, pool is perfect, location perfect and staff were very nice. Very clean and lovely place to stay. Really enjoyed our weekend here. Worth the price! Pretty pricy for two nights but expected for Boxing Day, great pool, great location, nice tidy and clean 1 bedroom spa room, was a little noisy but again expected again Christmas time lots of kids, only thing I would say maybe the air con needs an up grade or a clean not very cold and the two days we stayed was very hot, also we overlooked the car park maybe they could have hidden the bins and other junk with a screen? The Landmark Nelson Bay is located about a 10-15 minute easy walk from the marina, which is perfect if you don't necessarily want to be in the centre of the action. We stayed in a one bedroom apartment, which suited us perfectly. A visit to the shops sorted out snacks and breakfast for our stay and we had a great view. It seems like all of the apartments have the same great view. We will be repeat customers for sure. Nice place with 2 places where you can get decent food. View is great but no Housekeeping if stay is less than 7 days, which leaves you needing to do laundry of your own towers etc. Really inconvenient. Came up for a wedding so the hotel was booked due to its close proximity. Very clean, nice rooms but found it strange that the doors did not lock from the inside - was very cautious of my 4 year old wandering out. Staff were friendly. Pool was lovely and heated. Will stay again. The staff were great.The view was amazing. Picture postcard. The location was terrific. We had a great stay. Unfortunately we were only there for 2 nights. We advised when we booked , months before ,that it would be our anniversary during our time there. When we got to our room there was a chilled complementary bottle of sparkling wine waiting for us . What a lovely gesture ! The staff were really friendly & helpful. The pool area was also really good. Although the 3rd floor studio (fully self contained) apartment we had was showing its age a bit , it was still quite comfortable with all you needed for a relaxing stay. If you didn't want to cook there was a restaurant on the ground floor (which we didn't use) or the bowling or golf clubs within minutes, or the town centre & waterfront were again no more then 5- 10 minutes walk. The balcony was a fair size, but the" icing on the cake " was the view. It was absolutely beautiful & even though there was some rain it didn't detract from it at all. We will certainly not hesitate to stay again at the Landmark. There is a supermarket a few streets away for some groceries, although we took most of what we needed. Once again we will definitely stay there again.